Lung alveolar tissue destruction and protein citrullination in diesel exhaust exposed mouse lungs. “Humanity faces an increasing impact of air pollution worldwide, including threats to human health. Air pollutants prompt and promote chronic inflammation, tumourigenesis, autoimmune and other destructive processes in the human body. Post-translational modification of proteins, e.g. citrullination, results from damaging attacks of pollutants, including smoking, air pollution and others, rendering host tissues immunogenic. Citrullinated proteins and citrullinating enzymes, deiminases, are more prevalent in patients with COPD and correlate with ongoing inflammation and oxidative stress. In this study, we installed an in-house-designed diesel exhaust delivery and cannabidiol vaporization system where mice were exposed to relevant, urban traffic-related levels of diesel exhaust for 14 days and assessed integrity of alveolar tissue, gene expression shifts and changes in protein content in the lungs and other tissues of exposed mice. Systemic presence of modified proteins was also tested. The protective effect of phytocannabinoids was investigated as well. Data obtained in our study show subacute effects of diesel exhaust on mouse lung integrity and protein content. Emphysematous changes are documented in exposed mouse lungs. In parallel, increased levels of citrulline were detected in the alveolar lung tissue and peripheral blood of exposed mice. Pretreatment with vaporized cannabidiol ameliorated some damaging effects. Intractable Generalized Epilepsy: Therapeutic Approaches. 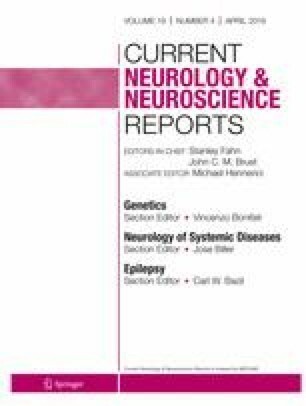 To summarize recent developments in therapeutic options, both medical and surgical, for patients with drug-resistant generalized epilepsy syndromes, which continue to be a multifaceted challenge for patients and physicians. Cannabis Oil Use by Adolescents and Young Adults With Inflammatory Bowel Disease. “The aim of the study was to describe use of oral or sublingual cannabis oil (CO) by adolescent and young adult patients with inflammatory bowel disease (IBD). A descriptive study of IBD patients 13 to 23 years of age seen between January 2015 through December 2017 at Children’s Hospital Colorado. Information obtained included chart abstraction, electronic and interview self-report, and serum cannabinoid levels. We compared CO users and cannabis non-users for clinical characteristics and perceptions of risk. Users of CO provided information on routes, patterns, motivations, and perceived benefits and problems with use. The 15 users and 67 non-users were similar for clinical characteristics and pain and appetite scores. 9 of 15 (60%) CO users had used in the past 30 days, an average of 22 ± 9 times; and 4 used daily. A variety of strengths and CBD:THC ratios were reported. Most common perceived effect of use was on sleep quality, nausea, and increase in appetite. Of the 15 users, 6 used only CO and no additional forms of cannabis. Of these 6 CO only users, 5 reported a medical reason for use, most commonly to relieve pain. Decreased Expression of Cannabinoid Receptors in the Eutopic and Ectopic Endometrium of Patients with Adenomyosis. “Adenomyosis is a common gynecologic benign disease that may have a life-long negative impact on women. Previous studies have indicated that the endocannabinoid system may participate in the progress of endometriosis. Our research aims to analyze the expression patterns of the typical cannabinoid receptors (CB1 and CB2), the main constituents of the endocannabinoid system, in endometrial samples derived from patients diagnosed as adenomyosis or not. In either the proliferative or the secretory phase, CB1 and CB2 protein and mRNA levels were both significantly lower in the eutopic and ectopic endometrium of adenomyosis when compared with normal endometrium. For women with adenomyosis, CB1 and CB2 protein and mRNA levels were much lower in the ectopic endometrium than the eutopic in both phases of the cycle. Both CB1 and CB2 protein and mRNA levels were increased during the secretory phase in normal endometrium, while CB1 lost its cyclic variation in the eutopic and ectopic endometrium from patients diagnosed as adenomyosis. Cannabinoid receptor 2 deficiency exacerbates inflammation and neutrophil recruitment. “Cannabinoid receptor (CB)2 is an immune cell-localized GPCR that has been hypothesized to regulate the magnitude of inflammatory responses. However, there is currently no consensus as to the mechanism by which CB2 mediates its anti-inflammatory effects in vivo. To address this question, we employed a murine dorsal air pouch model with wild-type and CB2-/- 8-12-wk-old female and male C57BL/6 mice and found that acute neutrophil and lymphocyte antigen 6 complex, locus Chi monocyte recruitment in response to Zymosan was significantly enhanced in CB2-/- mice. Additionally, levels of matrix metalloproteinase 9 and the chemokines C-C motif chemokine ligand (CCL)2, CCL4, and C-X-C motif chemokine ligand 10 in CB2-/- pouch exudates were elevated at earlier time points. Importantly, using mixed bone marrow chimeras, we revealed that the proinflammatory phenotype in CB2-/- mice is neutrophil-intrinsic rather than stromal cell-dependent. Indeed, neutrophils isolated from CB2-/- mice exhibited an enhanced migration-related transcriptional profile and increased adhesive phenotype, and treatment of human neutrophils with a CB2 agonist blocked their endothelial transmigration. “Recent evidence indicates a protective effect of cannabis on weight gain and related metabolic alterations. However, there are no previous studies on the long-term longitudinal effects of cannabis on first-episode drug-naïve patients, which would thereby avoid the confounding effects of chronicity and previous treatment exposure. We aimed to explore the effect of cannabis smoking on weight and lipid/glycaemic metabolic measures in a sample of first-episode non-affective psychosis patients. Cannabis users at baseline presented a lower weight ( F=14.85, p<0.001), body mass index ( F=13.14, p<0.001), total cholesterol ( F=4.85, p=0.028) and low-density lipoprotein-cholesterol ( F=6.26, p=0.013) compared to non-users. These differences were also observed after three years: weight ( F=8.07, p=0.005), body mass index ( F=4.66, p=0.032) and low-density lipoprotein-cholesterol ( F=3.91, p=0.049). Moreover, those patients discontinuing cannabis use presented a higher increase in weight ( F=2.98, p=0.052), body mass index ( F=2.73, p=0.067) and triglyceride-high-density lipoprotein ratio ( F=2.72, p=0.067) than the ‘non-users’ and ‘continuers’. “We aimed to examine, for the first time, the effect of cannabidiol (CBD) and palmitoylethanolamide (PEA) on the permeability of the human gastrointestinal tract in vitro, ex vivo, and in vivo. In vitro, PEA, and CBD decreased the inflammation-induced flux of dextrans (P< 0.0001), sensitive to PPARα and CB1 antagonism, respectively. Both PEA and CBD were prevented by PKA, MEK/ERK, and adenylyl cyclase inhibition (P < 0.001). In human mucosa, inflammation decreased claudin-5 mRNA, which was prevented by CBD (P < 0.05). Palmitoylethanolamide and cannabidiol prevented an inflammation-induced fall in TRPV1 and increase in PPARα transcription (P< 0.0001). In vivo, aspirin caused an increase in the absorption of lactulose and mannitol, which were reduced by PEA or CBD (P < 0.001).